Libya is the source of the Mediterranean migrant crisis: The problem is the North African country has become a failed state. The problem isn’t poverty or even human trafficking. The problem is Libya. 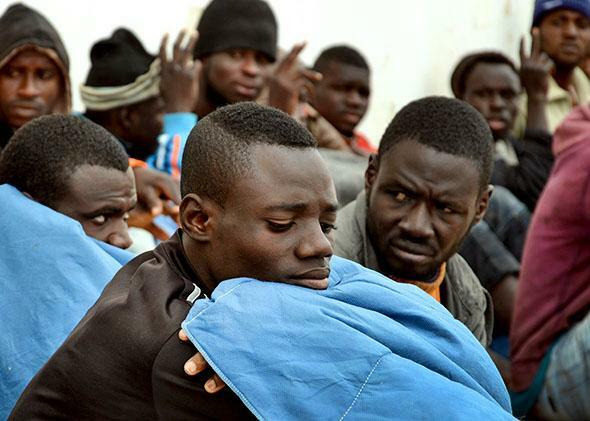 Illegal migrants sit upon their arrival in the southeastern Tunisian port city of Zarzis on April 25, 2015, after they were rescued by fishermen when their boat got into difficulties while trying to sail from Libya to Europe. When I was in Libya a couple of years ago, I met a man who was on a European Union mission. If memory serves, he was writing a report on the Libyan media for an EU institution, or perhaps an EU–funded one. In any case, he was walking around Tripoli, earnestly conducting interviews and holding meetings at the union’s expense. To my knowledge, nothing came of the report. If it was ever published, now it’s outdated. All other similar reports written at the same time, funded by the European Union or EU–member states, have met the same fate. Yet all of the organizations that disbursed that money at the time surely felt that they had made a “contribution” to Libyan stability. They were wrong. Neither that EU report nor any of the others ever resulted in a coherent EU policy in Libya, toward media or anything else. Efforts to carry out “training” were piecemeal; attempts to advise were scattered. If there was a moment when Europe, whose leaders led the effort to get rid of Muammar Qaddafi, might have made a difference to Libyan reconstruction, the moment has passed. Instead, Libya disintegrated into civil war—and disappeared from Europe’s political agenda altogether. The British prime minister, who actively supported the Libyan revolution, has barely mentioned the country during the entire British election campaign. 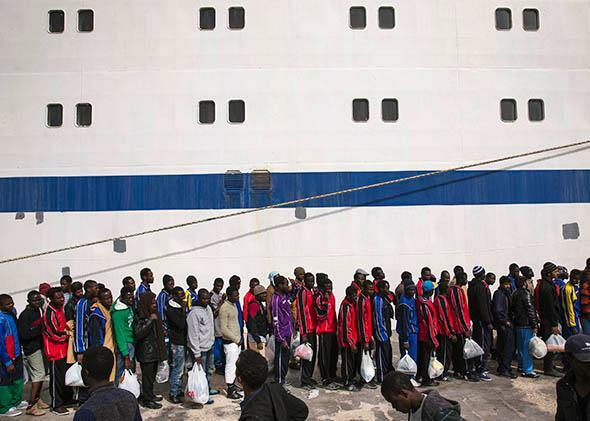 Migrant men wait in line to board a ship bound for Sicily on April 23, 2015 in Lampedusa, Italy. And Europe’s response? An “emergency meeting,” during which all heads of government expressed their deep concern—and agreed to send a few more boats to patrol the coastlines of Italy and Greece. The actual source of the crisis—Libya itself—went unmentioned. 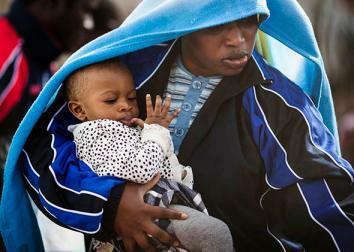 A migrant woman and a young child board a ship bound for Sicily on April 23, 2015 in Lampedusa, Italy. The unspoken, undiscussed truth is that, even as the crisis in Libya was unfolding, everybody knew that the Western effort was inadequate and that the European effort in particular was all over the place. The problem wasn’t lack of money but lack of focus, lack of coordination, and an inability to learn lessons from the past. Over and over again, in Libya as in every other crisis, programs have been duplicated or used at cross purposes. Aid has been delivered according to criteria created in Copenhagen or London, often having nothing to do with what is happening on the ground.